The next version of the popular single-board computers will be manufactured on a more advanced FinFET process, but it won't be any smaller, according to the CEO of the Raspberry Pi Foundation. The Pi 4 will still cost US$35 though. The Raspberry Pi is undoubtedly a versatile device that is suitable for a plethora of hardware projects or as a small media centre. 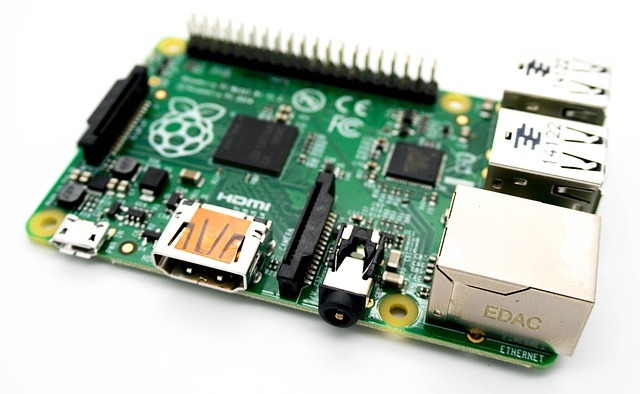 The Pi 3A+ only came out at the end of last year but Eben Upton, the CEO of the Raspberry Pi Foundation, has already provided some details about its successor. Upton confirmed in an interview with Tom's Hardware that the Raspberry Pi 4 will not arrive this year, but that it will remain at the US$35 price point that the Foundation has always priced its most expensive Pi. This means that the Pi 4 will effectively cost a few dollars less than its predecessor did in 2012 if the latter's price is adjusted for inflation. Moreover, the Foundation is moving on from the 40 nm FinFET process that it has used until now. Upton did not confirm which process node the Pi 4 will be based on, according to Tom's Hardware, but that 28 nm "is feasible". He also stated that a 7 nm process is unlikely as it is currently difficult to implement 3.3 V on such a platform. The Pi 4 should also remain the size as a credit card, with Upton adding that "I can't imagine wanting to up, because we don't have any more interface I want to fit around the outside of the product". The single-board computer could use USB Type-C for power too, although Upton remarked that there would be challenges associated with switching from micro USB. These include increased heat from the additional 0.5 A that Type-C brings and that the pin layout of the reversible port is not designed for use in rugged environments. We suspect that we will hear more about the Pi 4 in the coming months, about which we will keep you updated.